Atelier 6000 – or A6 –the more common reference – was transformed into a spring setting for our Major Donor Event. 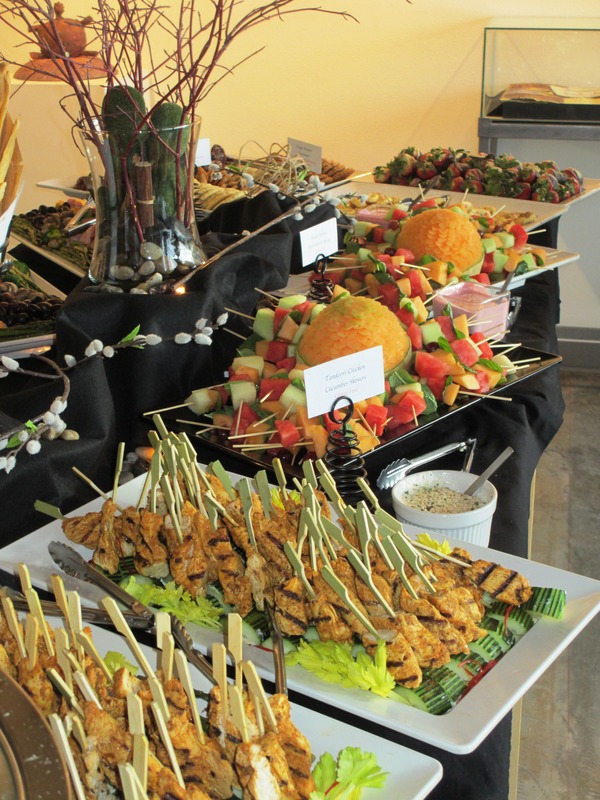 Great food – Tate and Tate catered, good music – Jeremy Storton from Sisters was the musician for the evening, an outstanding presentation by Judy Hoiness and Jean Wells and of course mix that with a lot of creative people and it’s a recipe for a good time. Oh – almost forgot – add wine and beer to bring it up a notch – a great time! 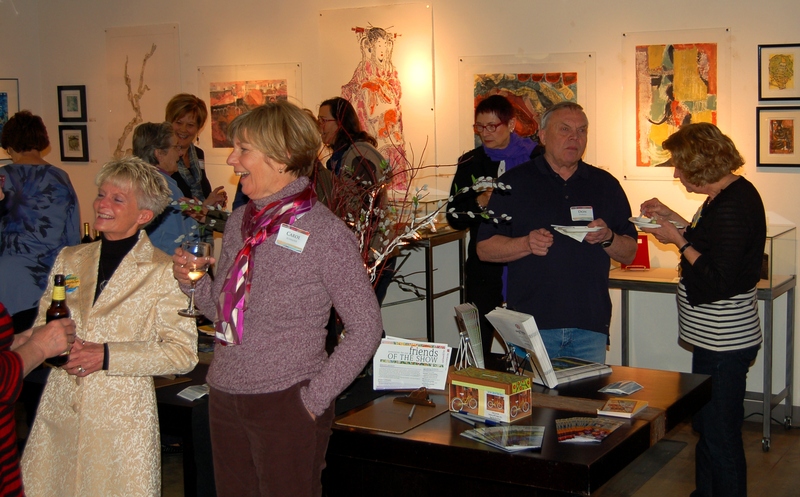 About 60 guests mixed and mingled in the A6 art gallery while viewing the collagraphs and the raffle bike and quilt. Artwork by Kathy Deggendorfer adorns this year’s raffle bike – to sum up the guest’s reactions to this one-of-a-kind bike – AWESOME. Pri nting presses lined the studio where appetizers and friendship were shared. Most appropriate, it also served as the backdrop for Jean and Judy’s presentation – the same studio where many of their collaborative creations came to life. 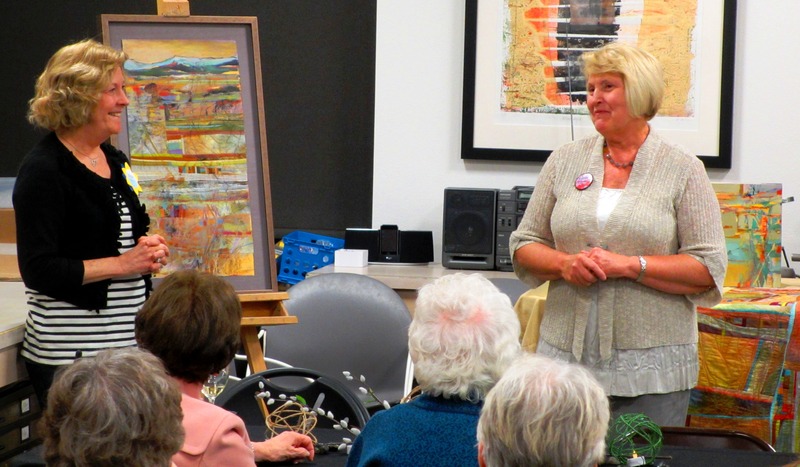 Judy’s background in watercolor and Jean’s background in contemporary art quilts meshed into incredible pieces of art. Finished and in-process pieces were shared as was the “how” they collaborate on a piece. Guests were amazed at not only the product but the freedom to just try different things. Both Jean and Judy expressed that the creative process is a joy for them.